Chicago is often viewed by many as a city where beer leads the alcoholic beverage industry and seems to have put wines out of the loop. But as the windy city’s interest in drinking blooms more vibrantly, wine gradually emerges to conquer the dining and social gathering scene, which pushed the love for beer back slightly. As this change continues, more and more wine enthusiasts have indulged in wine tasting and wine collecting, and thus, the need for a decent and attractive wine storage room has emerged. 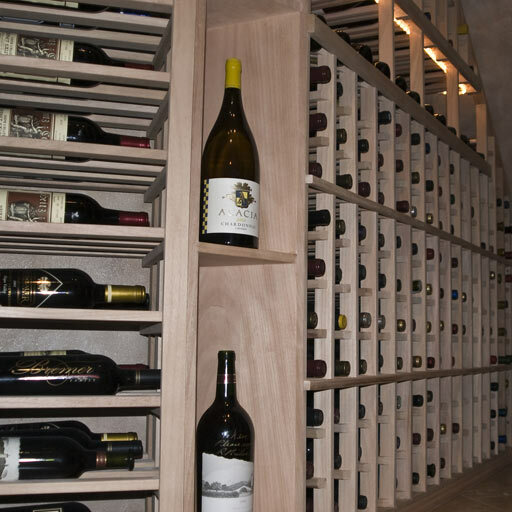 Proof of this is the many custom wine cellars built by one of the most trusted companies in wine cellar construction in Chicago: Custom Wine Cellars Chicago. Many wine cellar construction companies became adept at meeting the needs of wine lovers, and this has led to the creation of intelligently designed wine cellars. 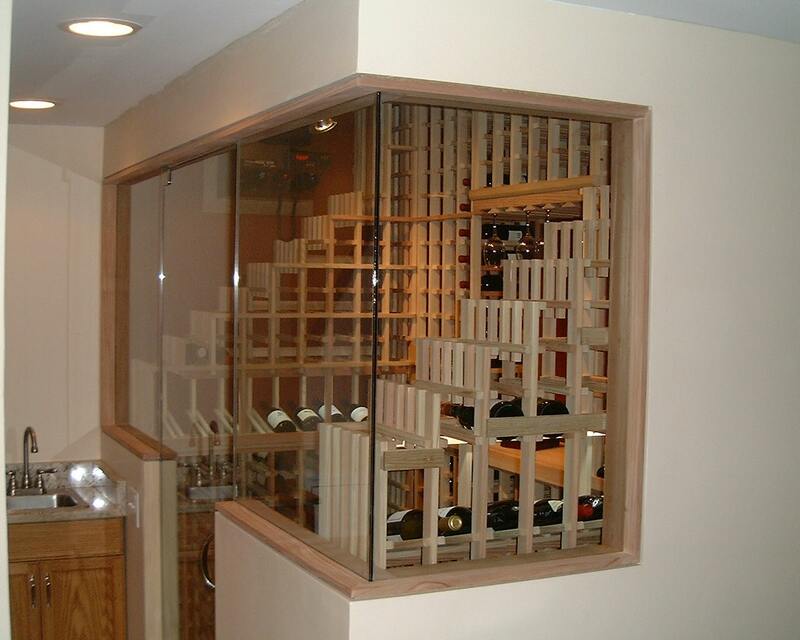 Custom Wine Cellars Chicago has penetrated the wine cellar building industry in Chicago because of its very good reputation in designing and building highly functional custom wine cellars. 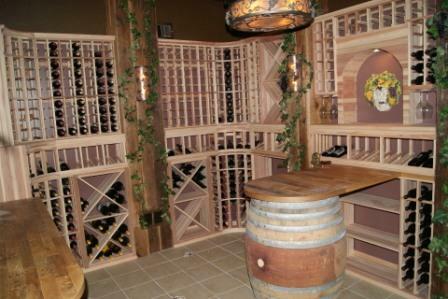 One of the custom wine cellars that Custom Wine Cellars Chicago built is located in Naperville, a suburb in Chicago. The wine storage room was designed and built as part of the Anil family’s bar and entertainment area at home. This area was originally a closet with very limited space, which posed a challenge to the wine cellar construction companies. 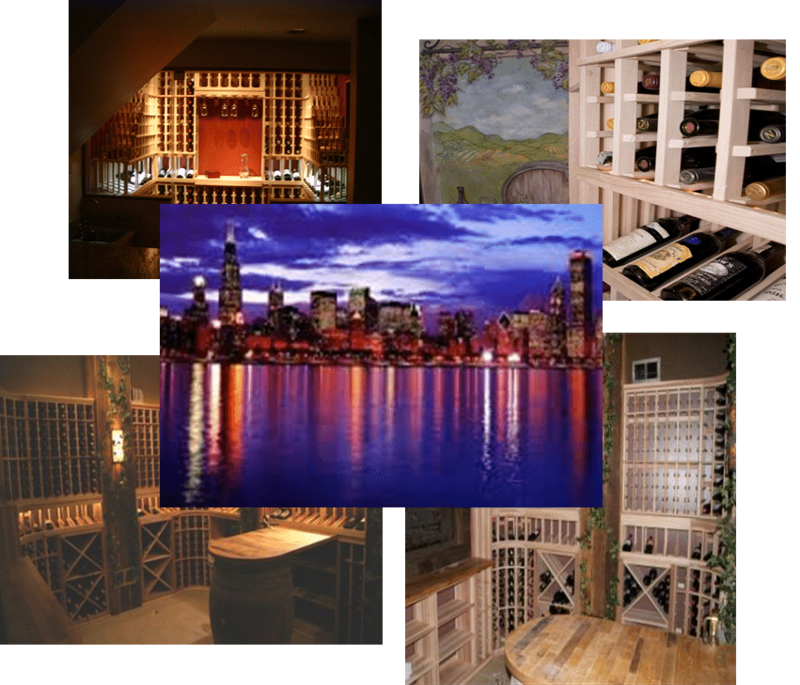 So Custom Wine Cellars Chicago came up with a design that would maximize the storage capacity and at the same time add character to the home. The resulting wine storage room has a storage capacity of 497 bottles. Included in the cellar are premium redwood wine racks with high reveal display row and a wine glass rack above the table top, attractive waterfall cascade design wine racking on both sides and wine cellar lighting system. This is also a residential wine cellar. 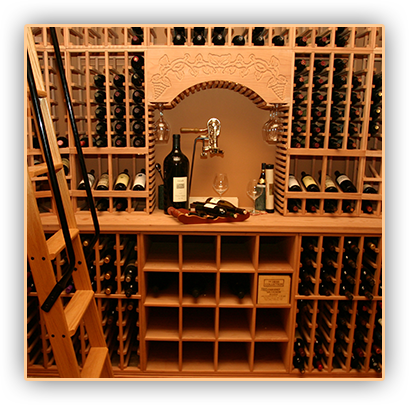 The appealing look of the wine storage room is attributed to the beautiful combination of wine rack designs. 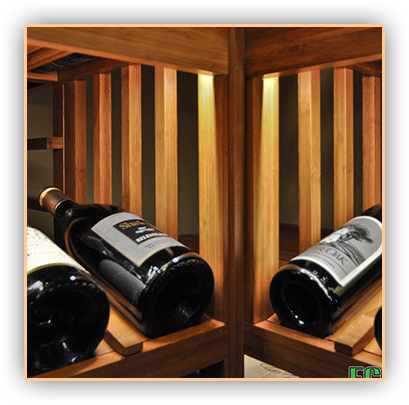 The types of premium redwood wine racks used include solid quarter round wine racks, solid x-bins, high reveal display rows and an arch with LED lighting. One unique thing about this wine cellar is that you will know how passionate with wine the owner is when he decided to use reclaimed wine barrel for his wine tasting table and tabletop. Also a residential wine cellar, this project posed some tricky design challenges because the original room has an unusual shape; it’s located under the stairs and has odd angles and a slanting ceiling. Custom Wine Cellars Chicago had to come up with a creative design that can maximize the storage space and still make the wine cellar look very appealing. They did this by using different styles of mahogany wine racks. Lattice horizontal wine racks are single deep and have a depth of only 6 inches. LED lighting was added to the horizontal display row for aesthetic effect. 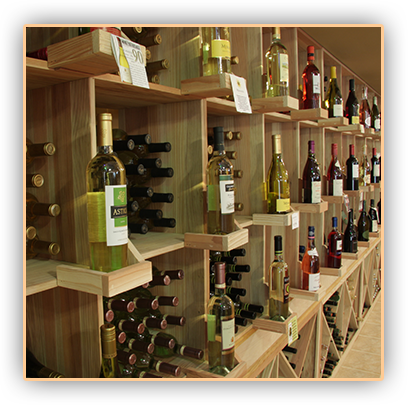 Label forward horizontal wine racks, on the other hand, allow the display of wines and easy management of the collection. Waterfall wine racks were used where the ceiling slopes. There’s also the triangular quarter round display shelf for wine display. Custom Wine Cellars Chicago has also designed and built custom wine cellars for commercial locations, such as the Girl and the Goat Restaurant and Fairmont Hotel. 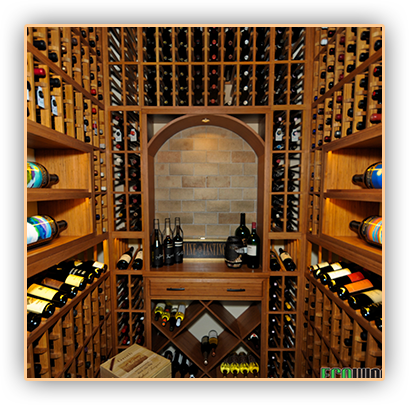 Check them out here – http://www.winecellarspec.com/wine-cellars/#commercial-wine-cellar-gallery.